Founder and Creative Director of ArtLab Studios Berlin. ArtLab Studios works using its Performance Art roots in the areas of Stage, Film, Video, Multimedia, Events, Trade Shows and Exhibitions. With over 400 productions in nearly 30 years, our portfolio speaks for itself. 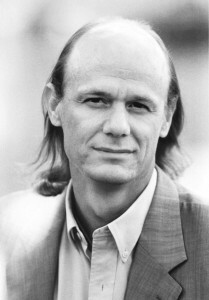 As Creative Director and Designer for the multimedia experience in the German Pavilion EXPO 2000 The Media Garden, Eric Veenstra reached worldwide acclaim. In 2006 Mr. Veenstra was chosen to provide the Art Direction for Terry Gilliams (Brazil, 12 Monkeys) film „The Pianotuner of Earthquakes“. Currently Eric Veenstra and his Team at ArtLab Studios are Providing Creative Solutions for Global Brands such as Hewlett-Packard, Volkswagen AG, KitchenAid and Deutsche Bank and many others.